There are so many gorgeous coats stocked by the likes of Zara and Topshop (my personal fave being these Topshop Teddy Fur Coats. BE. MINE. Please...). Unfortunately I just can't fork out 80 odd squids on such dishy numbers. 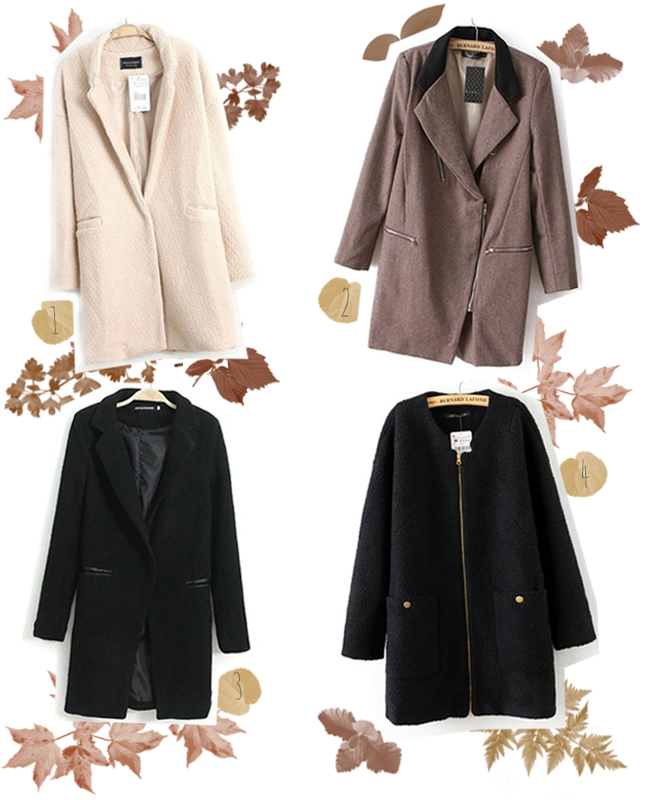 But, fear not, I've stalked Persunmall to find some absolutely cracking, affordable coats for autumn. These coats range from just £36 (that's near Primark pricing!) to a reasonable £43. As I'm after a smarter-looking coat at the moment, I think I might have to give one of these a go! Shipping is free if you spend over $50 (that's around £30) and you can use the code in my sidebar to get 10% off an order over $80 too. Keep snug ;)! They all look so warm, I love that last coat!